HOMEKids & Children Self-DefenseSelf-Defense for Kids! We love teaching self-defense in our classes at American Family Karate (AFK). Lately there has been a lot of violence in the local schools so we have dedicated even more time to teaching self-defense to the children who attend our classes. Often self-defense is only thought of as striking back or hitting a person who is attacking you. There is so much more to self-defense than that! Below you’ll find some other areas of self-defense that are often overlooked. Confidence! At AFK we promote Confidence, Leadership & Integrity in each student. Confidence is imperative for children as a step to avoid bullies in school. You can use your body language to show your confidence. Encourage your child to look confident (even if they are not) by having good posture & making eye contact. Also children who use a strong speaking voice appear more confident. Encourage your children to speak firmly and to make eye contact when they might feel scared. Bullies target kids who appear likely to do nothing in return. Even children who are shy or laid back should learn to display confidence even when they do not feel very confident at all! If you child’s confidence seems lacking find ways to raise their self-esteem. Awareness! Being aware of what is going on around you is a big deal! In this age of smartphones children are often oblivious to what is happening around them as their eyes and head are down (looking at a phone). Teach your children to be aware of their surroundings and to trust their gut instincts! If something looks dangerous, it just might be! It’s OK to trust that little voice in their head! Exit Stage Left! While being confident and aware kids should also pay attention to where the exits are! If there is a fight in the hall at your school, Keep your head up, back to the wall and leave the area. There is no shame in leaving a bad situation! Attract Attention! Sometimes using that loud confident voice we’ve talked about is enough. Sometimes kids may have to yell to get attention from an adult. If your child is being hurt or threatened encourage them to yell for a teacher or other adult for help. Also, kids can try to walk or run, to where a teacher or another adult is. Self-Defense! 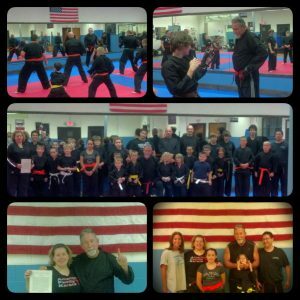 Enroll your children in self-defense or karate classes! Sadly, it is not always possible to avoid physical confrontations. Make sure your child has basic skills to protect themselves. Karate classes are not for everyone but self-defense is! 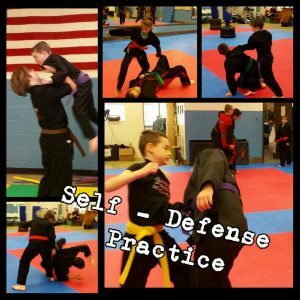 Take your kids to more than one self-defense class! Often, kids (and adults) need to hear things more than once for it to really sink in. The more they practice basic self-defense skills the more likely they will be able to recall and use them when needed. Again, it is always best to avoid physical conflict and there are many ways that can be done. When that is no longer possible, having basic self-defense skills can go a long way. For more information regarding karate classes, private lessons or self-defense please contact Sensei Shawnie Brown at 607-542-9571 or at Shawnie@AmericanFamilyKarate.com. 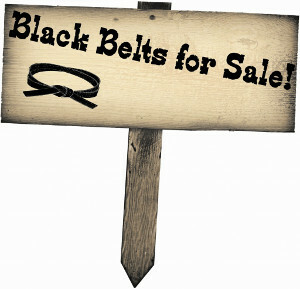 You can also get information by visiting our website at www.AmericanFamilyKarate.com. No Comments to "Self-Defense for Kids!"